Brace’s mission is to provide the best service for marketing solutions by consistently delivering innovative, unmatched products and a flawless service. We “listen and partner” rather than “analyse and tell”, allowing us to create bespoke products that truly reflect our customers’ business and vision. We believe that our work with Festoon is the perfect example of fulfilling our mission - delivering the best service for marketing solutions, tailored to the customers’ needs. When Steve, the owner and founder of Festoon, came to us earlier this year, he didn’t have a name for his business. But, what he did have was a vision and we worked with him to make it a reality. 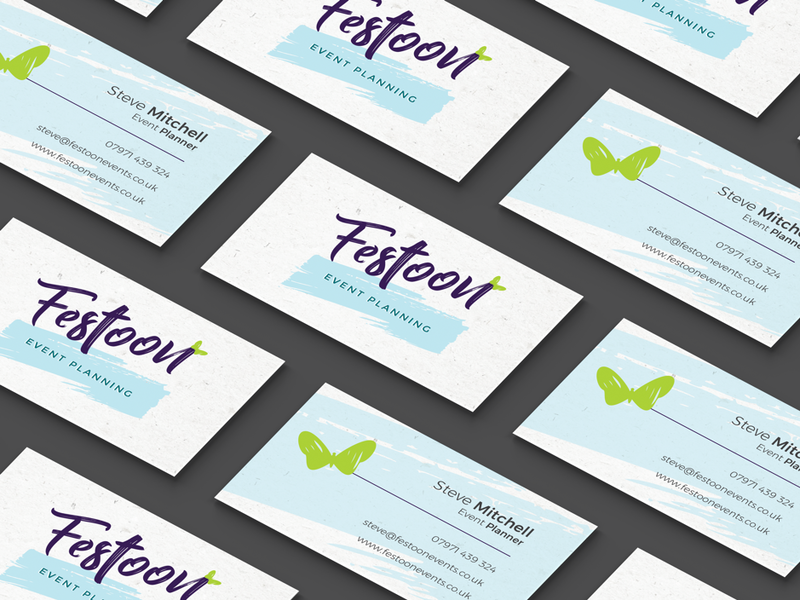 From creating a name through to launching a bespoke website, we helped bring Festoon to life. Starting with our creative branding exercise, we spent 90 minutes collaborating to help Steve visualise the look, feel and tone of voice of his brand. This exercise provided Steve with the much needed “clarity” to develop his business name, logo and much more. We delivered a fantastic bespoke website and marketing collateral in line with the brand guidelines that we developed for Festoon. Steve has used these guidelines to maintain brand consistency across all platforms, including social media, business cards and even his uniform. Brace Creative Agency would like to congratulate Steve on the launch of his new business, Festoon. Our team has absolutely loved working with him and we look forward to collaborating again in the future! If you would like to take advantage of our fantastic branding, web design and print services, give us a call on 01452 729 953 or send us an email at hello@brace.co.uk.